Celebrate the unique connection between father and child at camp. After all, there’s no better lace to connect than the great outdoords. Help instill a sense of adventure in your child and enjoy traditional, rustic camp fun! To register, go to ycamp.org, click “Register,” sign in or create an account, then click “Register Online”, then select “2019 Year-Round Camp and Family Programs” and select “Father/Child Weekend”. What better way to kick off the summer season than joining us in our longest running family program? Memorial Day Family Camp offers adventures for the whole family all weekend long. The family friendly environment gives you and your family a great opportunity to bond and create amazing lifelong memories. Horseback Riding is available! Riding instruction for any experience level. $45/Person (Ages 5 and up), registration is required for this option. To register, go to ycamp.org, click “Register,” sign in or create an account, then click “Register Online” and select “2019 Year-Round Camp and Family Programs” and select “Memorial Day Family Camp Weekend”. Celebrate the season with your favorite famous, furry friend – the Easter Bunny. It’s a chance to relax, while enjoying an egg hunt with the kids and a tasty hot breakfast buffet for the whole family. There are two seating’s; 8:30 and 10:30. Seating is limited so advanced registration is required. To register, go to ycamp.org, click “Register,” sign in or create an account, click “Register Online,” select “2019 Year-Round Camp and Family Programs” and then select “Breakfast with the Bunny”. Celebrate the season with your favorite famous, furry friend – the Easter Bunny. It’s a chance to relax, while enjoying an egg hunt with the kids and a tasty hot breakfast buffet for the whole family. There are two seating’s; 8:30 and 10:30. Seating is limited so advanced registration is required. To register, go to ycamp.org, click “Register,” sign in or create an account, then “Register Online,” select “2019 Year-Round Camp and Family Programs” and then select “Breakfast with the Bunny”. Give the Gift of Opportunity! When you donate to YMCA of the Pines, you are donating directly to members of our community, making it possible for children, teens and families to have access to our wide array of programs. You will be providing them with opportunities to explore, grow and thrive – you will be changing their lives. 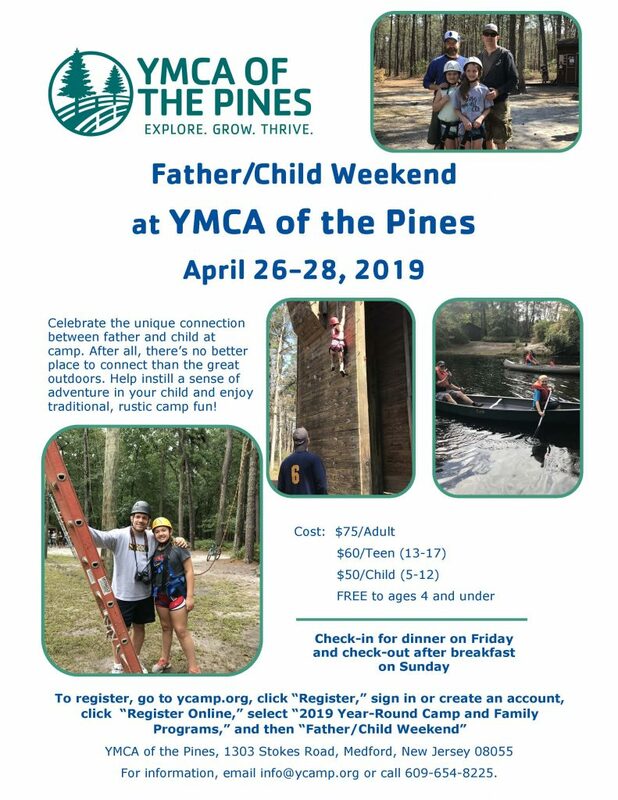 YMCA of the Pines is an interfaith, charitable association dedicated to helping children, teens, and families explore, grow, thrive and ultimately become the best version of themselves. 501(c)(3) IRS determination. Tax ID# 21-0635054. Breakfast with the Bunny will take place rain or shine. We look forward seeing you!